Get all the information you need easily by just asking the Google Home Mini for it. Apart from getting to know the status of the weather to news and sports, it also lets you use Google Search, Maps and more hands-free. You never have to keep a diary or a post-it note to keep track of your schedule, commute, and travel information. 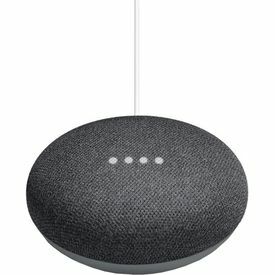 The Google Home Mini does it all for you. Simply ask it to wake you up at 6 AM and that’s it. All you had to do was ask. 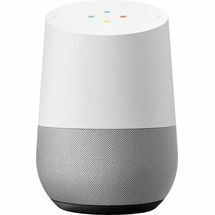 It is also highly useful in other ways such as finding your misplaced Android phone by making it ring at full volume, and broadcasting messages to all the Google Home devices around the house. Using a remote control to switch between content is so old school, isn’t it? Thanks to Chromecast compatibility, you can now stream movies and music right from the comfort of your couch using just your voice. You must have seen features like controlling the lighting of your home with your voice only in spy movies. Well now, with the Google Home Mini and compatible lights and switches, you can control home automation systems like Philips Hue with ease. Get information that is personalised just for you, thanks to this device’s ability to distinguish your voice from others.